ECS 110 is officially a wrap and I have enjoyed all the challenging conversations that I was able to participate in throughout the course. I’m looking forward to continually debunking myths and normative narratives about social justice issues and working towards eliminating the binaries in my future classrooms. Below I have attached the written script for my video and the links to my borrowed photos. Hmm that was surprisingly very easy, I have solved it already and I’m confident the I’m familiar what all these words and their meanings, why would we learn about this in an Education related course? Turns out that puzzle was trying to teach me much more than I initially understood. Canadian, a term I’ve used for as long as I can remember, simply a person who lives in Canada, how much more is there really to it? The media portrays ideas about Canadians that are simple to accept and make Canadians look good. In reality, these ideas are examples of Normative Narratives. As citizens of Canada, we are able to hide behind basic surface elements of our country because that is where the focus is placed rather than acknowledging serious attributes that truly represent our nation The Canadian Grand Narrative is problematic because it demonstrates the idea that Canadian history begins with the arrival of Europeans and entirely disregards the people who were on the land prior to this settlement. Daschuk’s final quote helped me realize that by believing the stereotypical definitions of Canadians, I have shown ignorance towards Canada’s true history, and that needs to change. Treaty. I knew a general definition of treaties prior to this class but I did not ever think of myself as a treaty person and I never considered my rights to be treaty rights. This seems absolutely crazy to me now because if both European and Indigenous parties signed the agreements and I am living on treaty land than of course I am a treaty person. I realize now that I was practicing willful ignorance because even though I knew about treaties existence, I chose to ignore their effects on me and never had the desire to learn more about them. 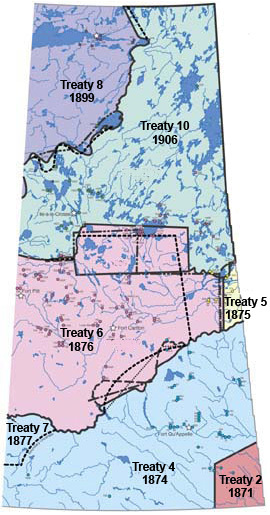 The treaty backgrounder said it best by explaining how non-aboriginal Canadians forget that they gained rights through the signing of the treaties and that all treaty people must understand their common history to take action to renew treaty relationships and understand their rights and responsibilities as people who are continually influenced by the treaties in order to be harmonious. Four months ago, I confidently believed the dictionary definition of racism. I was trapped in the good and bad racism binary, and I was practicing white fragility. My new understanding of racism initially blew my mind and the idea that coloured people can’t be racist was difficult for me to grasp. Once learning the true definition of racism, I realized why this made sense. As a white individual living in Canada, I am associated with racism, not because of my personal actions or comments but because I benefit from the distribution of resources controlled by the whites in our country and I am protected from race-related stress. I must acknowledge that I have white privileges and that my perspective on race is limited because I have always been part of the dominant group. It is my responsibility to teach the truth about racism, take action to address racism by learning about racial realities through authentic interactions and understand that my racial comfort is a privilege, not a right. Classism, something that I could define but I never had thought about the problematic prejudice that results due to its categorization. 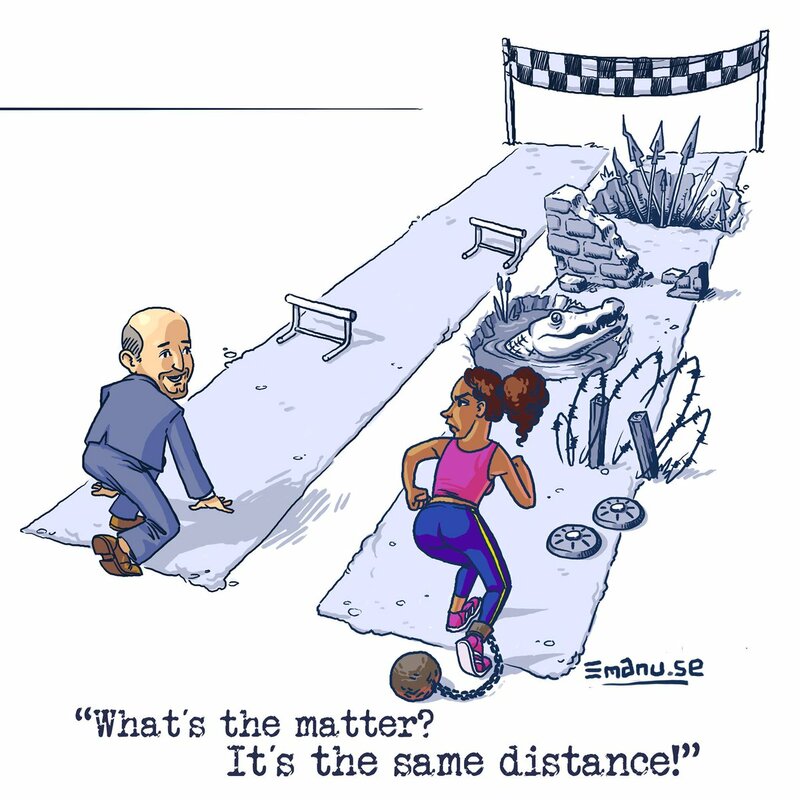 The myths that state we all have equal opportunity or that poor people don’t try hard enough stood out to me because I often practice the rebuttal that since choice is involved it is not oppression and that if individuals applied themselves and showed a desire to be successful that they would be. I can now see that there are effects of institutions, political systems and community behaviours on social classes. By blaming poor people for poverty, it allowed me to feel that I was doing right for myself but now I am able to recognize poverty as a social issue rather than an individual failure and I am aware that poverty cannot simply be overcome by working hard. Society has always taught that boys are associated with the colour blue and girls are associated with the colour pink and honestly speaking, I loved engaging with this concept and thought it was adorable when my twin brother and I had matching outfits just in the contrasting colours. As much as I still believe that our baby pictures are cute, I have learned that this social conditioning is problematic because it insists on internalized gender roles and intensifies the girl/boy gender binary. The gender binary teaches children that they must fall exactly into one of the two categories which causes non-gender conforming behaviours to be viewed as unacceptable and results in hypermasculinity and sexism. When writing my gender blog post I repeatedly used the phrase “because I am a girl” to explain my exclusion due to feminine labels and it is horrible that this is thought to be an acceptable way to think. Rather than being absorbed by the developed categories, we need to start diminishing the line between genders and challenging gender roles. Prior to this class, I understood the term disability and I was aware that although disability simulations sounded helpful in theory, that they actually created harm by evoking empathy rather than acceptance. I have learned to understand disability as an identity which has helped me to realize greater problems with disability simulations. Racial simulations would appear to be absolutely appalling but for some reason, disability simulations are not and that is a major red flag. Simulations only provide temporary glimpses of what it is like to live with a disability meaning that by pretending to live with a disability for an hour does not provide a true understanding of what it is like to have a disability. Rather than imitating people with disabilities, the differences among individuals as a fact of human existence must be embraced by firstly recognizing disabled people as People who have disabilities. The terms Canadian, Treaty, Racism, Classism, Boy, Girl, and Disability do not even begin to explain the content of ECS 110. It is the socially constructed ideas, normative narratives, binaries, oppression, discrimination, and rebuttals created by these identities that explain the importance of discussing these topics as preservice teachers. 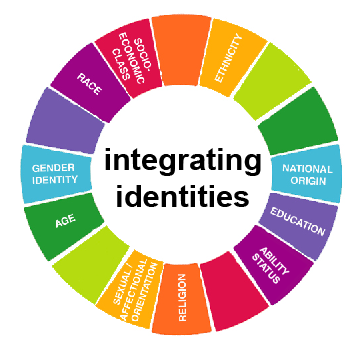 I am a Canadian, treaty person who is a white able-bodied female and I now have a greater understanding of what these terms mean regarding my personal identity and how I interact with others. I am now aware of the privileges and oppression that each of those identity features offer me and the problems these labels can create. A country is defined as “a nation with its own government occupying a particular territory”. Countries are complex networks that are constantly adapting to suit the needs of its citizens and improve the stability of the nation. Many aspects including laws, authorities, holidays, language, currency, and history combine together to form the backbone of a country. It is clear that intricate details merge to establish a country, however, citizens tend to focus on singular characteristics that make them proud to be a member of their country rather than multiple features that fully define their nation. As Canadians, we take pride in our nation’s national colours and believe that demonstrating patriotism through wearing appropriate attire and using our nation’s colours in decoration displays defines us as Canadian citizens. The term a “sea of red and white” is familiar to us and excitement pools in our bones when the new Olympic gear is released every two years and unique red and white patterns become available for purchase. This year, in celebration of Canada 150, red and white could be found everywhere from flowers hanging in pots to hats on individuals’ heads and the cups we drink our coffee out of proving that in order to show pride for our country, Canadians believe that we must represent our nation’s colours. Jesse discusses a Canada Day parade he participated in and explains how he felt “bombarded by red and white” because of the “flags, clothes, decorations, and streamers” that filled the streets in his Canadian story. He explains how the parade route was “decorated to look Canadian” making it “an incredible sight”. Colours are purely something visual to the eye and do not possess the underlying depths that a country has to offer, yet red and white are constantly taking the place of more complex attributes in defining Canada. Furthermore, each province and territory in Canada has its own provincial colours that are categorized to define the region. Living in Saskatchewan, it is widely represented that “green is the colour” due to the famous Saskatchewan Roughriders and their patriotic theme song that both Braden and myself know the lyrics to and recognize the football anthem to be a significant aspect of what makes us citizens of Saskatchewan. Braden shares parallel experiences with me in taking pride in the atmosphere of Rider games as he explains to be “the best part of the game” in his Canadian story. He describes how everyone in the stands is “decked out in green and white and cheering their hearts out” which again emphasizes the importance that Canadian’s place on regional colours. 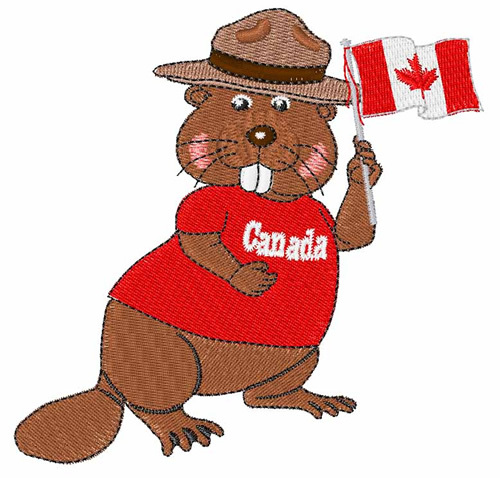 Similarly, I explained how I feel the most Canadian when my family and I are “dressed in green clothing and Rider gear from head to toe including our tattoos on our cheeks and the noisemakers and flags in our hands” in my Canadian story. I comment on the “sea of green” and how the colours allow me to passionately fit in with my fellow citizens and truly make me feel a part of the province. Why is it that a minor character of my region provides me with a sense of belonging rather than significant aspects with deeper connections to defining the province? Colours are immediately noticed by the eye and do not require in-depth thinking making it easy to connect them to countries without understanding vital features of the nation. Citizens, including myself, believe that colours bring us all together and make us all appear to be equal and united. Our country is globally recognized by the colours red and white through our national flag and media productions that connect Canada to it colours worldwide, making them something that defines us internationally and separates us from other nations allowing us to be unique. By highlighting the colours related to Canada, Canadians form a story that allows them to become blind to significant details of our country, and they start to believe that if they don’t demonstrate pride through colours they aren’t truly Canadian. By constantly seeing colours play a role in describing Canada, the story of colours’ importance appears to be true permitting it to be a normative narrative that is problematic. The idea that the colours red and white are defining aspects of Canada is a narrow story that Canadians have become accustomed to believing. The focus placed on basic elements of a country that lay on the surface, such as colours, permits citizens to hide behind them and not acknowledge the serious attributes that represent their nation. Elena explains in her Canadian story that when thinking about Canada “it seems a lot easier to think of all the little things that lie on the surface” and how this is problematic because our country’s identity “can become shallow if Canada’s identity is only viewed through material things”. Elena’s explanation demonstrates a developed understanding of what truly defines a country and how despite the ease of hiding behind pleasant physical objects, it is important that Canadians recognize the traits that truly define our country. Due to the international understanding and significance placed on patriotic colours through the media, the informal belief that colours define a nation is easily accepted despite its simplistic nature. It can be challenging for Canadians to dig beneath the surface and acquire a definition of Canada that goes beyond the national colours and accept ideas of our country that are not necessarily positive. To maximize our understanding of our country and learn socially just representations of Canada, Sensoy and Diangelo recommend that we strive for Intellectual Humility meaning that we recognize others may know more about our nation and that we remain open-minded to learning more rather than being resistant. By clinging to the narrative that patriotic colours define a country, we practice a form of Willful Ignorance because we know that our country has deeper characteristics than colours but we choose to ignore them which does not demonstrate true desire to learn about our nation. In Clearing the Plains, Daschuk explains that Canadians must “come to terms with the uncomfortable parts of our past so we can build a future in which we can all be proud of”. Our class gathered ideas about what we think it means to be Canadian, and positive attributes such as accepting, polite, kind, freedom, and equality were mentioned first, but similar to the normative narrative of national colours that we as Canadians tell ourselves, all of these ideas are optimistic and portrayed in the media, but do not explain the truth about Canada. Canada’s history does not fit this positive figure and according to a People’s Voice article, “55% of Canadians are satisfied that we have overcome racial discrimination”, which reiterates that Canadians chose to diminish serious aspects of our country’s character and focus on ideas that are simpler to grasp such as colours. Canadians all over the country proudly decorated and prepared for Canada’s 150th birthday celebration by buying red and white clothes, flowers, napkins, plates, utensils, decorations, and everything else that we believed fell under the theme of Canada based on the narrative that red and white are what define us as a country. In reality, this was yet another form of Canadian’s blinding out the tens of thousands of years of history on Canadian soil and the colonization period that should not be celebrated. A CBC radio article explained that “Indigenous people across the country are pointing out that for them, [Canada’s Birthday] is a symbol of 150 years of colonization” and according to Lilian Howard’s thoughts, “150 reflects the colonial history of Canada and the historical trauma that Indigenous people face”, which clarifies why celebrating 150 years is not joyous. Elena’s explanation of how her perception of a Canada is like a puzzle demonstrates a deep understanding of how Canada encompasses the stories of people with varying backgrounds and that no two people are alike. She explains that she “never had to worry about learning English”, or adjusting to nationally celebrated holidays and “Canadian food” but that all of these ideas represent “stereotypical Canada” rather than the truth. By labeling the language, holidays and food associated with Canada as stereotypical, Elena demonstrates that she has moved beyond the Canadian normative narrative where colours define us and that she recognizes how aspects of Canada that lay on the surface do not truly define our country. It is relieving that Elena’s Canadian story focuses on the realities of Canada rather than the cheerful story that colours are what define Canadians because it demonstrates growth and respectful knowledge. Although I find it challenging to go beyond the playfulness of colours being a dominant element of Canada, it is important to understand mature attributes that shape our nation and become educated on the true defining aspects of Canada. Our team of professional CTV news reporters bombarded the University of Regina and Regina businesses to put an end to the rapidly spreading idea that Immigrants are coming to Canada and monopolizing the job market. Under the leadership of Kristi the Krispy Hayko, Courtney the Coolio Allen reveals the myth to allow Haley the Hot Hodson to provide research and facts on the myth and Kendall the Krazy Schneider to bust the myth. The narrative was proved to be merely a myth from the use of national facts, gatherings from the community of Regina through surveys and interviews at the University and local businesses, and proving that Anecdotal Evidence is not factual verification to base ideas off. See for yourself how our elite team proved that the myth about immigrants stealing jobs in Canada is destructive, inappropriate, and simply false. “Good morning grade four, my name is Mrs. Holash and I am excited to be your teacher this year”. Wearing my new pink vest and blue jeans, I sat excitedly in a brown desk with a vivid and personalized name tag. Next to me was my twin brother as per usual, and other classmates from the previous years. We were eager to show off our new school supplies, sort out our colourful duo tangs, use our crayons and markers, try out our shiny indoor shoes in the gym, and share our favourite summer stories. It was the typical first day of school, a classroom full of energy and enthusiasm, but it didn’t take me long to realize that one thing wasn’t quite the same. I attended St. Francis elementary school in Prince Albert Saskatchewan and prior to grade four, my class was combined with the grade above us. Grade four was the first year that we would return to being separate since grade one, but because I had joined the class part way through grade two, I had no experiences being without the older students. It wasn’t until the first day of grade four that I realized I was the only girl in my grade at our school, and the girls that were previously my classmates were all a year older than myself. I sat in a class of seventeen students surrounded by sixteen boys. At first, I didn’t think much of it. Yes, the girls that I was used to having in my class weren’t there anymore but I still knew all my classmates and they were my friends despite their gender. Mrs. Holash respectfully adapted to our classroom dynamic and did her best to make me feel included amongst the male-dominated classroom. She was forced to go beyond the typical way of separating groups into equal numbers of girls and boys, or forming seating plans in a girl then boy sequence, but rather grouped us together as one, and treated us all equally. In the classroom, it was clear that I was the only girl but I never felt excluded from class participation or discussion. Outside of the mandatory curriculum was a different experience. It was during lunch hour, recesses, and extracurricular activities that I felt the most excluded because of my gender. Throughout lunchtime, the boys would trade hockey cards, joke about each other’s farts, and talk about playing football after school. I was never included in these conversations, and not because the topics didn’t interest me, but because I am a girl and my classmates were all boys who personally chose not to include me because what they were discussing were “boy things”. During recess, my classmates never let me participate in the games they would play because they involved contact which is only for boys and I am a girl. Because I am a girl, I was not able to play on the volleyball team with my classmates but instead, there were special changes to the rules which allowed me to play on a team with the older girls where I was excluded from some of their conversations about grade five because I couldn’t relate. I wanted nothing more than to be able to play volleyball with my classmates, be involved in games at recess, and be included in class conversations regardless of the topic because, despite our genders, we were a classroom family. In situations outside of the curriculum, gender assumptions decided my fate and I was excluded. At the age of nine, I was taught that gender roles and stereotypes don’t only exist, but have a major impact on individuals lives. The conversations my class engaged in were not inappropriate, the games they played at recess were not aggressive, and we were all simply learning volleyball techniques for the first time which means that I should have been able to participate alongside my classmates. I am a girl, but I also was a grade four student who was denied opportunities to be with my classmates because rather than being taught that kids are kids, as a young female I learned that girls are girls and boys are boys and each category has separate opportunities, interests, and roles to play in our society, which are challenging and tough to modify. “Treaty is not paper, Treaty is Relationships”. Treaties go vastly beyond the documents that were signed but rather explain the agreements that were promised between the settlers and Indigenous people. TreatyEdCamp was an eye-opening experience and a day full of knowledge as the importance of treaty education was discussed from all different perspectives and the truth about our country and its people was not disguised. Charlene Bearhead initiated the educational day with inspiring thoughts and calls for action by explaining some ugly truths and how society can move forward from them. Her goal is to have the truth of treaties be fully understood in our nation that has attempted to diminish it. She discussed how embedded treaty rights are for Non-Indigenous people and how oblivious we are to them. “For settler Folks our treaty rights are so intact that you don’t even have to know you have them”, demonstrating the major difference between rights for Indigenous people and Non-Indigenous people through the treaties. Bearhead shared the importance of treaty representation in public spaces which immediately triggered my pre-educator brain to think about incorporating treaties into the classrooms. The acknowledgment of treaties is required to clarify that settlers were not the first people on Canadian soil but rather stole the land from First Nations people. She discussed the importance of raising children in the truth rather than trying to hide it, and all the possibilities of growth that this would allow for. It is a fact that kids often move to action quicker than adults meaning teachers must take responsibility to act, rather than being absorbed by guilt and shame, to ensure the future generations are properly educated with the information required to see changes in our society. It is natural to face resistance and she explained that it is fair to feel mad at first but that “the truth will set you free” if you allow yourself to act on it. Bearhead’s biggest message for me was that intentions are not enough but that intentions and actions combined make the best combo to tackle treaty education. Bill Cook led an interactive session where he discussed the importance of engaging and embracing treaty education. He explained how that if people are interested enough to learn something, they will personally make the choice to learn it so by creatively integrating treaty education into the classroom and promoting the ideas beyond lesson plans and homework, students will be interested and want to participate. He focused on the idea that “there is no right way, there is no wrong way, there are just different ways” when discussing different languages and variances within them. It is important that students are not taught to believe that one culture is better than another but rather that they are all unique. He challenged us to change our “I can try” statements to “I will” statemnets because any challenge worth trying is worth doing. Shauna Niessen discussed her continually developing e-book, “Shattering the Silence: The Hidden History of Indian Residential Schools in Saskatchewan”. She explained how new evidence she discovers is constantly added into the book to create one resource containing all of the information which is hyperlinked to sources across the internet and is incredibly easy to navigate. The Saskatchewan curriculum was greatly considered when designing the book. Links to different lesson plans and sections of the book that should be incorporated into specific subjects for different grade levels are included which makes it an excellent source for teachers to depend on. Most importantly, she confirmed that her e-book has lit a flame in both Ontario and Alberta Education systems which hope to produce something similar for their own provinces to promote treaty education. Brad Bellgarde led an open discussion which promoted using his passion, rap music, to engage students in discussing identity. We all shared our first impressions on rap music which demonstrated a major change in acceptance because rather than terms such as gangs, drugs, substance abuse, danger, and other negative words being associated with it, our group had ideas such has emotion, feelings, poetry, and expression connected to the rap music. This exercise practiced Bill Cook’s ideas about making learning difficult topics exciting and intriguing and demonstrated that there has already been a major transformation of acceptance in society. As educators, we have the numbers to stand together and continue to promote treaty education and social justice for all people in order to move forward as a society. TreatyEdCamp taught me that together educators have the power to teach what is important and change the way our society thinks about treaties. I am inspired to educate myself about the factual events revolving around Indigenous people and promote the truth about treaties to others. I will develop a classroom where treaty education is promoted and intriguing for students to learn. Trying will never hurt but it has the opportunity to help and that is my motivation to make a difference. I will try! The term white can be simply defined as the colour of milk or fresh snow, the reflection of most wavelengths of visible light, or the opposite of black. It also refers to a human group (Europeans) who have white skin, but it is rarely used in this context because as Denise said, “people, especially white people, don’t like to say it”. We live in a world that automatically assumes white if race isn’t specified. It is the norm to hear a description of a person and immediately associate a picture of a white person in our heads unless a different race is stated. Our brains are inevitably corrupted to think this way but does that make it right? Not having to specify the term white when referring to a person with light coloured skin is a white privilege which Dr. Di’Angelo defines as, “the daily unspoken advantages due to skin colour”. White people automatically receive a head start in the game of life not because of their actions, but solely because of their skin colour. Commonly, white people don’t think of it as a benefit, but this connects to common rebuttals including racial arrogance because most whites have little information about racism and no experience of the oppression, but we are first to deny white privileges and debate those who do have complex thoughts and experiences. Whites move through society without feeling racialized or bearing the social burden of racism but that does not mean racism isn’t part of white people’s fabric. Racism is a system that we all exist in, yet white people still try to argue that to be racist you must individually act out racist behaviours. Because whites benefit from individualism, and aren’t always recognized as a group, we attempt to distance ourselves from our racist history but it is not that simple. Why do whites think that they are not part of racism even though we benefit from it every day? Why do whites associate the term “good” with non- racist people and “bad” with racist people? Society has developed a norm that if not specified, white should always be assumed. Society teaches that racism is “bad” but the true definition shows that racism works to the advantage of whites and the disadvantage of people of colour through institutional power and authority and is structured into our society through a history of white people dominating over people of colour and never mentions the term “bad”. Society has made the term racism negative which then offends white people when they are associated with it. To grow away from racism, this norm will need to change and although it will be thought-provoking and seem awkward at first, we must grow to become comfortable with working the term white into our daily conversations. I challenge you to use the term white to describe not only the colour of milk, but people with white skin too. At the age of seven, I moved from a small town in Alberta that was predominately an Anglo-Saxon farming community to Prince Albert Saskatchewan which houses a large aboriginal population. Prior to the move, I don’t remember ever being in contact with people of different races and although I’m certain I would have saw people with variances in skin tone at public venues, I was never exposed to them long enough to recognize a difference. Everyone that I was introduced to by my parents always commented that we had moved to the “good” neighbourhood and were attending the “rich” school and I remember not thinking much of it in the moment but as a curious kid these comments stuck with me. Before my first day of school in Prince Albert, my parents prepared me to expect to notice differences in skin tones amongst my classmates and advised me to still be respectful and accepting of these variances. As a second grader, I was excited to start school and meet my teachers and classmates, and St. Francis Elementary school welcomed my brothers and I with open arms. The morning of my first day, I put on my new back to school outfit, packed my pretty pink backpack with my sparkly shoes and grabbed my lunch kit that had been packed with snacks by my mom. Inside my classroom, I didn’t notice any variances from what I was previously familiar with, the walls were white and decorated with bright bulletin boards to display all our projects and artwork, the alphabet bordered the black dusty chalkboards, an inviting carpet was surrounded by children’s books and games and my teacher was a pretty lady with an inviting and calm demeanour. School was less than a five-minute walk from my new home and when the bell rang at 3:15pm signalling the end of the day, the sidewalk became filled with students fidgeting with their backpacks and joking amongst each other. It appeared that my whole class lived in the neighbourhood and enjoyed walking home together. Prior to branching down trails in different directions, we would plan to play together in the evening and decide what time we wanted to meet at the playground after supper. Our parents trusted that we would be safe riding our bikes together and allowed us to stay out until the streetlights began to glow because we lived in the “good” area of the city. My class was tightly nit and we enjoyed participating together in extra curricular activities and attending special events that our school put on after hours. The class was vastly male dominated and there was only one other girl besides for myself. Her skin was evidently darker than mine and my other classmates’, and she wore the same clothes nearly every day, but I never dwelled on these physical differences because she was a friend and as naïve children we saw her as an equal and included her in class. It wasn’t until I asked her to join us at the playground after supper, that I realized something was different. It dawned on me that Jordana did not walk home with the rest of the class but rather she caught a bus home. I never saw her after school hours or riding her bike in the neighborhood. Jordana was not on the soccer team or in my gymnastics group, and she never attended afterschool events such as carnivals, dances, or suppers. Jordana’s skin tone was not the only thing diverse between her and me, Jordana did not live in the “good” community nor have the many privileges that my classmates and myself had. Jordana is aboriginal and lives in a section of the city which is labelled to be poor, scary, dangerous, disreputable, and neglected. She does not participate in extra curricular activities and she wears hand-me-down clothes rather than new styles and trends. Her backpack is dirty and torn and her lunches are always very small and lacking nutrition. She does not have a bike that she can ride around on without parental supervision and the playgrounds in her vicinity are not maintained to proper standards. The stereotypes of her neighbourhood are attached to herself and family and despite her friendly personality she is viewed as an outcast in the district of town that I grew up in. Her skin colour is different than mine but this would be irrelevant if society didn’t teach me that she is “bad” and I am “good” because of the neighbourhoods we reside in.